Check out our series One, Ten, One Hundred to see how the folks at Sandwich Video bring Soapbox to life in three ads with three very different budgets: one for $1,000, one for $10,000, and one for $100,000. 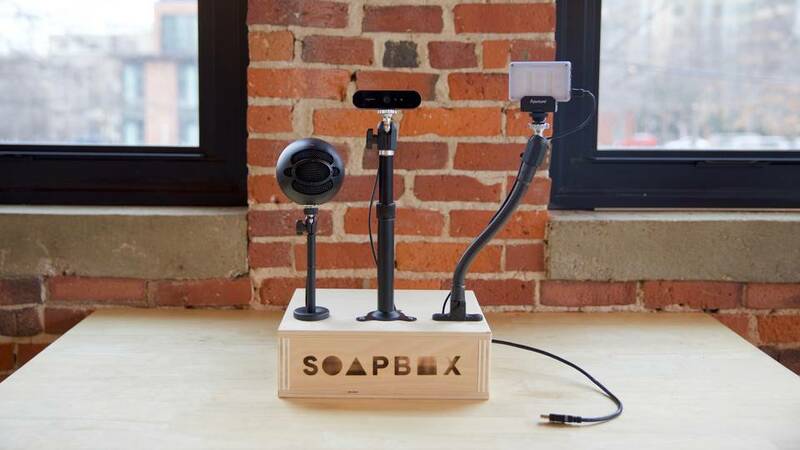 The Soapbox Station is a plug-and-play webcam studio that dramatically improves the quality of your Soapbox videos. Essentially, it’s an all-in-one, tabletop video studio. While your computer’s built-in camera is totally fine for making everyday videos with Soapbox, I couldn’t resist taking things to the next level and seeing how good we could get these videos to look by upgrading the hardware. What started as a casual quest to improve webcam image quality ended up being a nearly year-long expedition to design an affordable, high-quality webcam video studio. As I rolled out different versions of the Soapbox Station around Wistia, I found that members of our team were literally lining up to use it. 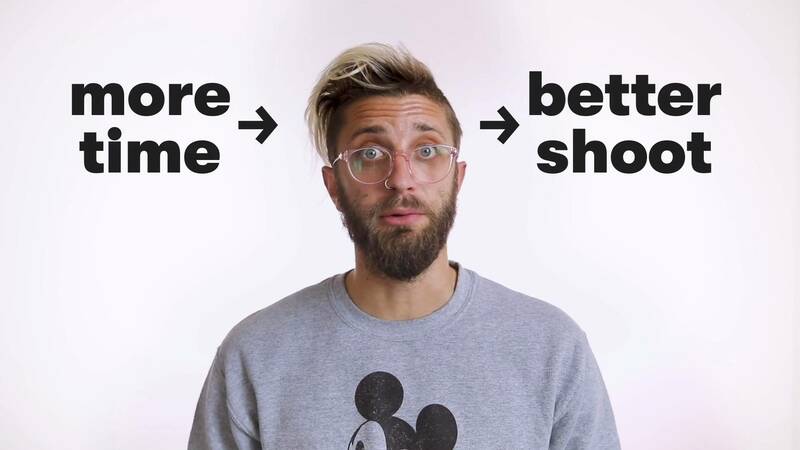 People made more videos because they felt more confident that they’d look and sound great on camera. It really had an unexpected impact on the company! I’ve designed two different versions of the Soapbox Station at substantially different price points. Meet the Soapbox Station Lite (left) and the Soapbox Station Pro (right). 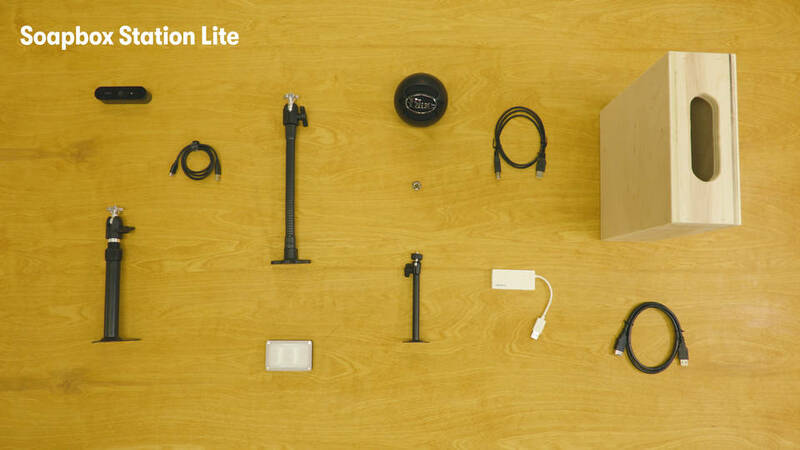 The Soapbox Station Lite is entirely USB-based. It features a 4K Logitech USB camera, a USB-powered LED light, and a USB microphone. The cost of materials is somewhere between $400–450, so it should be well within the budget of most businesses. At around $1,250, the Soapbox Station Pro is more than twice that price, but my gosh does the image quality look great. It features a Sony a6000 mirrorless camera, a shotgun microphone, and a bi-color dimmable LED light. Using a camera of this quality produces a clean, beautiful image with shallow depth of field. 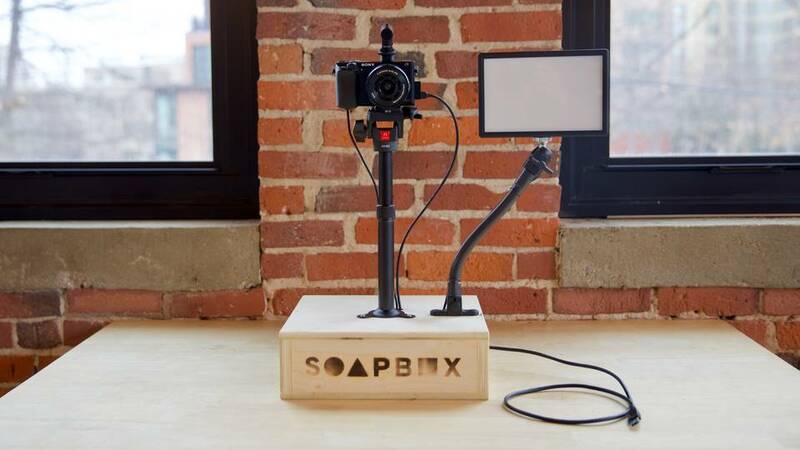 Each Soapbox Station version allows you to adjust the height of the camera, dim the LED light, and tweak the position of the LED to hide shadows or light glare. It’s designed to be light and portable, allowing you to pick it up and drop it on your desk anywhere in your office. To really go the full distance, you can purchase a custom branding iron so that you can burn your logo into the apple box! Alternatively, if you happen to swing by the Wistia office in Cambridge, I’ll happily brand your box (or car) with the Soapbox logo. I found that wetting the box first helped better focus the wood burn. Once the box is wet, hold the iron squarely on the box for a couple of seconds, then carefully set the iron in a non-precarious place to cool. Start by assembling all of the parts for the center column mount. Place the column mount in the center of the box about 3 inches back. Screw it into the box with 3 screws. Place the gooseneck to the right of the box in-line with the column mount. Screw that in with 3 screws; then, use the little caps to cover the screw holes. 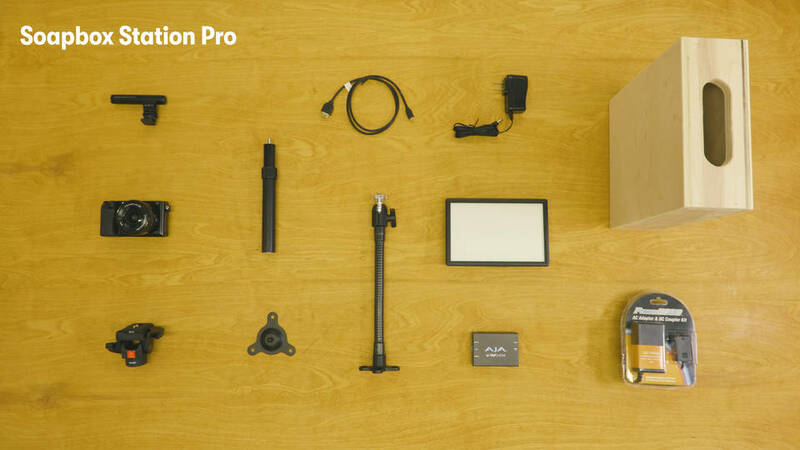 Place the microphone riser to the left of the box in-line with the mount and the gooseneck. Screw that into the box. With the paddle bit, drill 3 small holes right behind each of the mounts. Dump out the wood dust from inside the box. If you’re like me and love the quality of the blue microphone but don’t really love the giant logo, use a drill bit to pry off the plastic blue logo. Take the microphone adaptor and screw it into the bottom of the microphone. Now, mount the snowball onto the microphone riser. Grab the LED light and mount it inside the included caddy. Screw the LED light onto the gooseneck. Get the Logitech webcam out of the box and yank off the stock mount. Screw that into the ball head on top of the column mount. The mini USB goes to the light, the USB C goes to the webcam, and the USB 2 cable runs to the microphone. Plug everything into the hub, then add the extension cable to the hub and stick the cables inside the box. Start by building the column camera mount. Pop the base plate off the tripod head, then screw the head into the column mount. Place the center column smack dab in the middle of the box and screw it in. Grab the gooseneck and place it to the right of the camera in-line with the column mount. Screw it into the box. Don’t forget the caps! It really cleans up the install. Take the paddle bit and drill a hole behind the column, and another one behind the gooseneck. Attach the microphone to the camera’s hot shoe plate and screw it in. Screw the tripod plate into the bottom of the camera. Take the camera AC adaptor and place it in the battery slot (there’s a little trap door for you to run the wire through). Then, close the battery slot. Now, attach the camera to the tripod head. Screw the LED light into the gooseneck arm. Snake the 12v power supply up to the LED light and run the micro HDMI and AC adaptor up to the camera. Place the AC adaptor brick inside the box. Grab the AJA U-TAP and plug in the HDMI cable. Attach the USB cable on the other end and place the U-TAP inside the box. Once you’ve built your Soapbox Station, you’ll need to make sure you adjust your camera and audio settings in Soapbox. Hit the gear icon to dial in your new audio and video sources. If you’re on the Lite, select the snowball as audio and Logitech Brio as video. If you’re using the Pro, select U-TAP for both audio and video sources. Remember to adjust the height of the camera based on your sitting situation. Try to have the lens just above your eye level, pointing ever so slightly down at you. You’ll also want to adjust the angle and brightness of the light based on the light in your office. 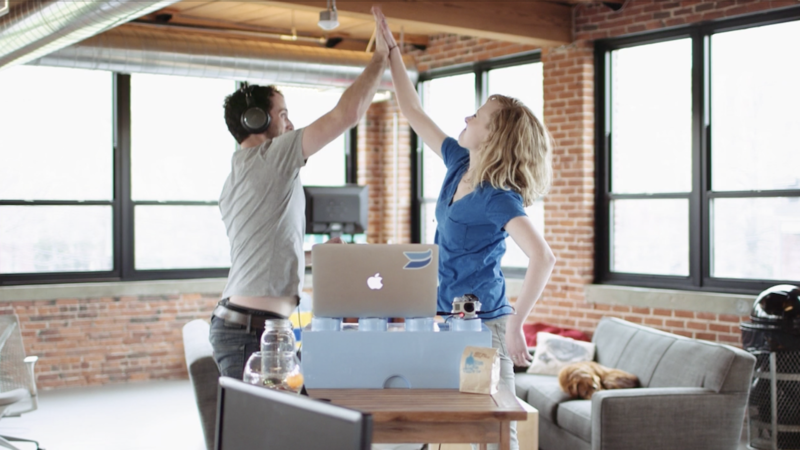 Right now at Wistia, we have a few of these Soapbox Stations kicking around in spots around the office that aren’t too crowded and have nice-looking backgrounds. It’s been awesome to see folks plugging into the stations and cranking out videos. I hope that after watching the video and reading the post, you’re inspired to grab a drill and build your very own Soapbox Station. Let us know how it goes! After spending a few months designing the Soapbox Station, I heard about an all-in-one video podcasting tool, complete with a camera, microphone, and LED light, called the Marantz Turret. Of course, I had to get my hands on one as soon as possible and check out all its features. Head over to my gear review post to learn more about what works and what doesn’t when it comes to this piece of video gear! Video thumbnails and text-overlays? You heard right! Check out the latest and greatest updates to your favorite Chrome Extension, Soapbox. 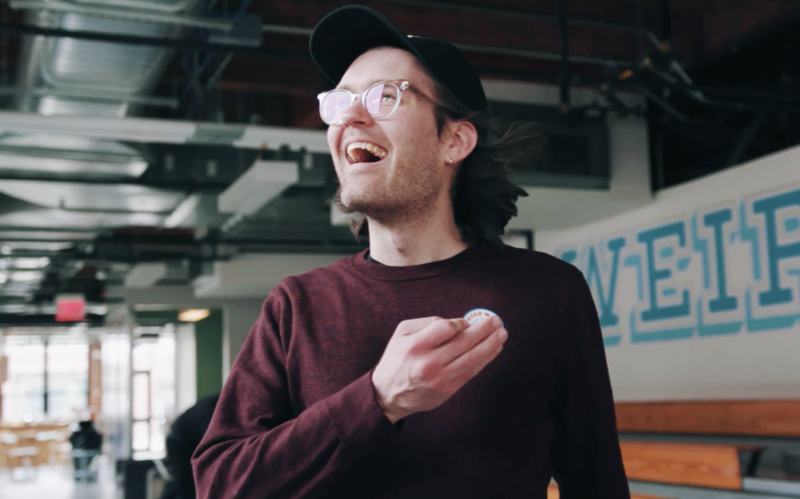 Wistia Has Been Nominated for a Webby Award—and We Need Your Help! We're calling on you, our beloved community of business-video fans, to help us take home The Webby People’s Voice Award. You know what they say — your shoot is only as good as your pre-production process. 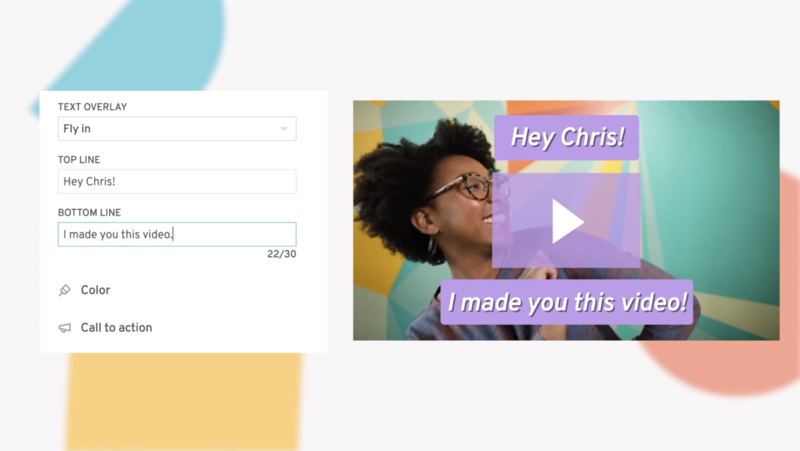 Build 1-to-1 video into your sales strategy and keep your sales team feeling motivated and inspired. 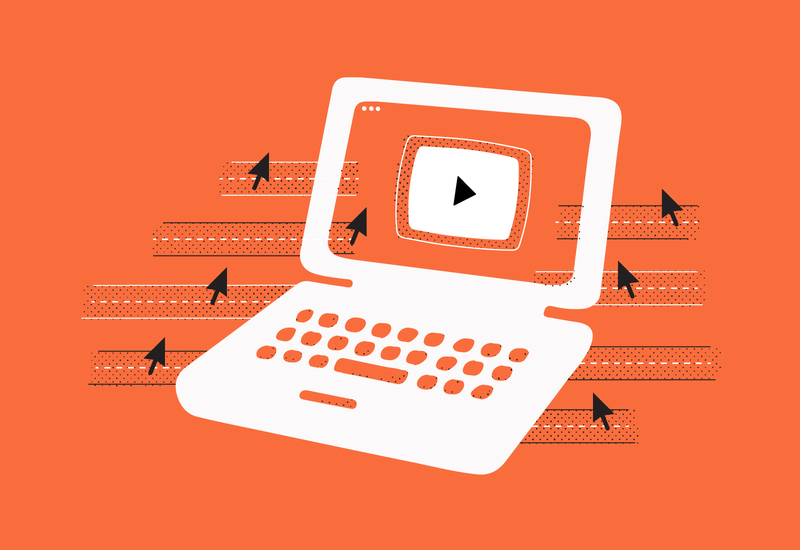 Uncover the impact video has on your website's overall SEO and the factors that affect your results. 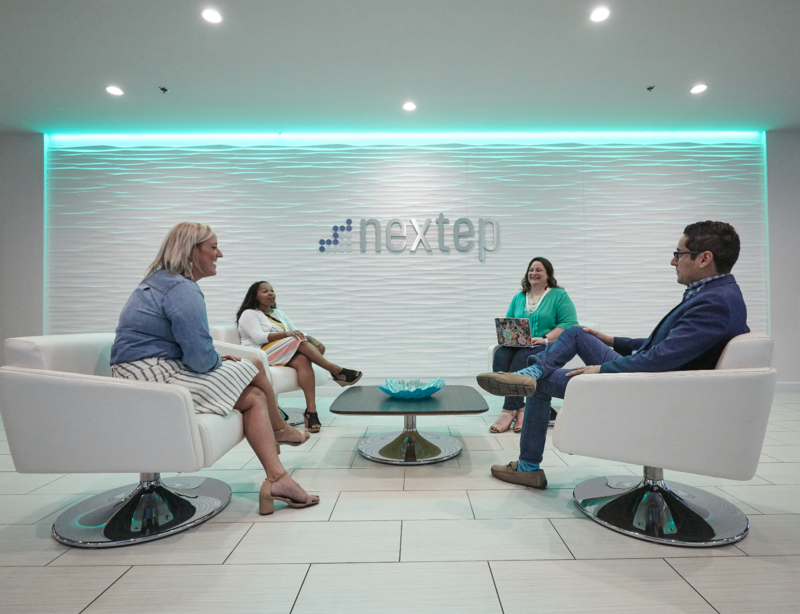 Learn how Nextep uses Soapbox to build better relationships by communicating big-business benefits to their prospects. The above list is visually presented as a carousel. These next two buttons can be ignored if you are not using the site visually. More of a social being? We’re also on Instagram and Twitter.